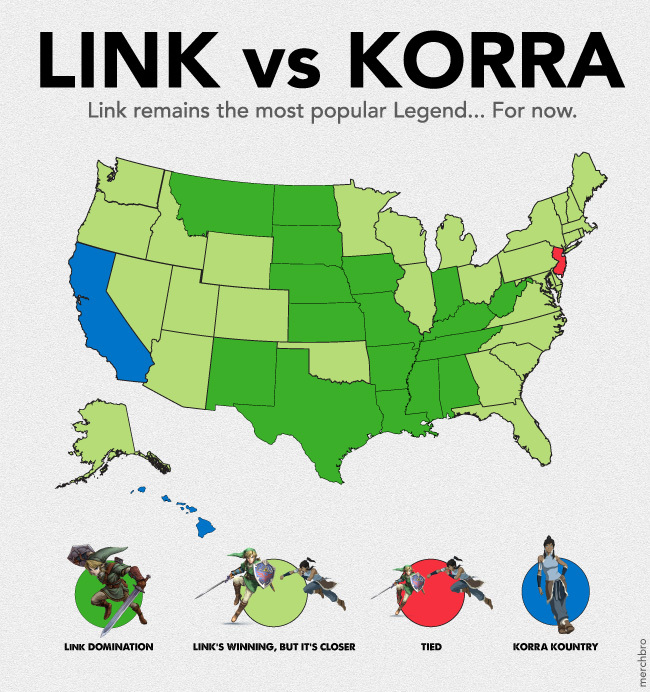 Korra vs Link: Who's More Legendary In Your State? The Legend of Zelda has been around forever. 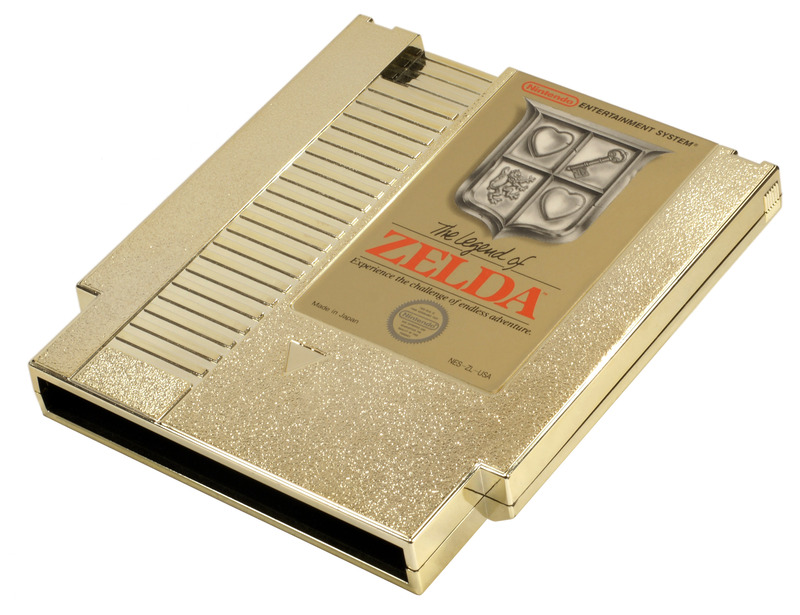 I remember the mystique of that shiny, golden The Legend of Zelda Nintendo cartridge and the exciting adventure it held inside like it was yesterday. In reality, the Legend Of Zelda debuted in 1986 and it’s been unbelievably popular ever since. So surely it’s lead character Link, who has never left the public eye, is the Leader Of The Legend’s Lair. What legend could possibly rival him? The Legend of Korra, that’s who. The show has skyrocketed in popularity and the beautiful and skilled Avatar Korra is making quite a name for herself in the fantasy adventure world. But is she just a passing fad or truly a force to be reckoned with? California And Hawaii Are Korra Kountry while Link remains more popular in most states. These states belong firmly in Camp Link. Each one of these states favors Zelda’s hero over the upstart Korra by more than 2 to 1. These states have become battleground states in this new aged war of Legends. Each one of these states is in the Link column, but by less than a 2 to 1 factor. The lone red state of New Jersey was simply too close to call. These two states (California and Hawaii) are the only two states in the union that have flipped. They show a greater interest in Korra than in Link. Middle America can’t get enough of Link. The majority of the states that favor Link at a greater than 2 to 1 ratio can be found between West Virginia and Montana. The two coasts have Korra fever. The coastal states are far more likely to show interest in Korra. While nearly all still favor Link, it’s by a lesser majority than when compared to the middle states. California and Hawaii are Korra Kountry. 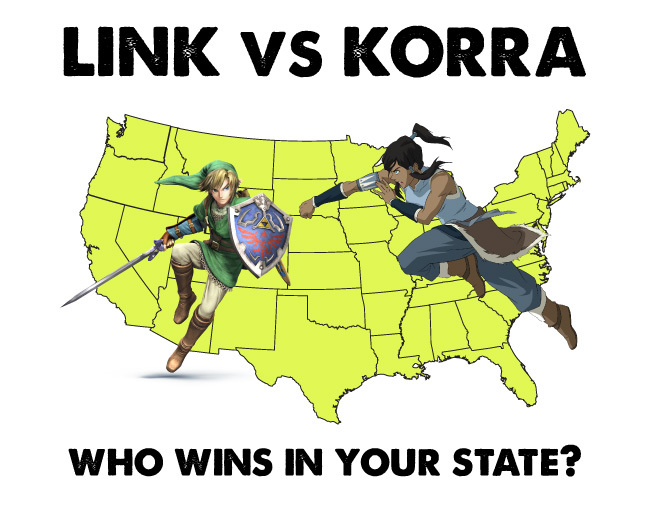 These are the only two states in America that have shown more interest in Korra than in Link. It’s not a runaway in either location, but the fact that a Korra majority exists at all shows a major shift in the Legend’s Totem Pole. Korra rules the district. Washington D.C. is strongly saturated with Korra followers. In fact, Korra dominates Link in DC, with 1.6 Korra fans to every 1 link fan. New Jersey is too close to call. 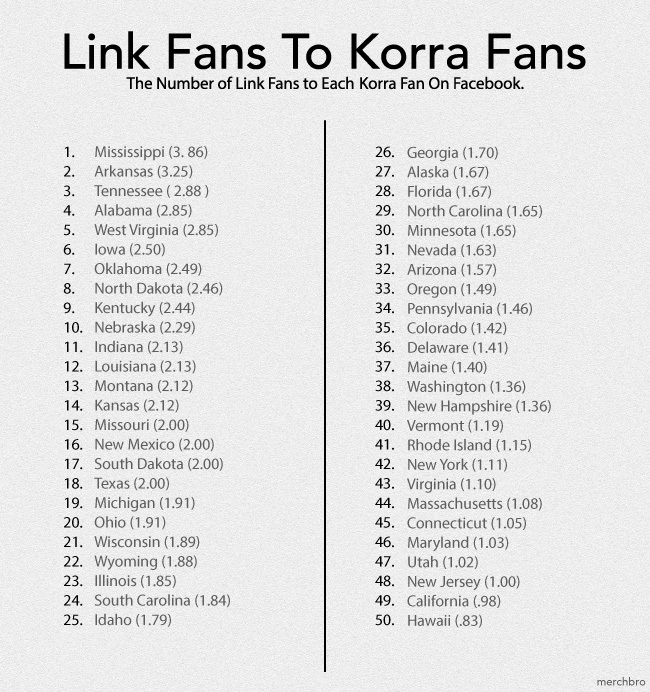 This East Coast state has approximately 11,000 Korra-curious Facebookers and approximately the same for Link. It’s the only state that was too close to call. We’re trending Korra. At least in the short term. Since the start of 2014, The Legend of Korra has been a much more popular Google search term than The Legend of Zelda. Since June, the disparity has been even greater. Is this just a short term boost as the show entered it’s fourth and final season? 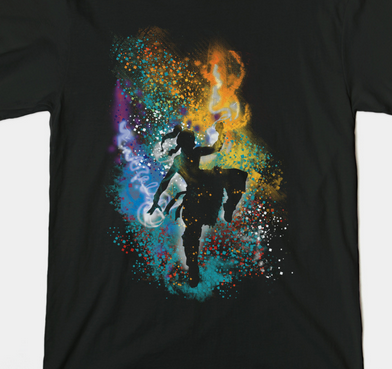 Or is the Legend of Korra here to stay? Only time shall tell. If we had to pick sides, we’d stick with our friend Link. We’ve been through too much with him. And we feel bad every time someone calls him Zelda. But it’s undeniable: The Legend of Korra is a true rival now. It will be interesting to see if she can keep this groundswell of popularity going as we get further removed from the series finale. We’re not betting against her. So what was our methodology? All of our fan stats are pulled directly from Facebook. We used their figures for number of users in each state that showed an interest in Link(The Legend of Zelda) and Korra(The Legend of Korra). We then compared the two together, created some maps, and reported our findings. Hope it was interesting! We’ll check back in every so often and update! Unfair portrayal of Link! His art is reversed in this graphic and he appears to be right-handed!